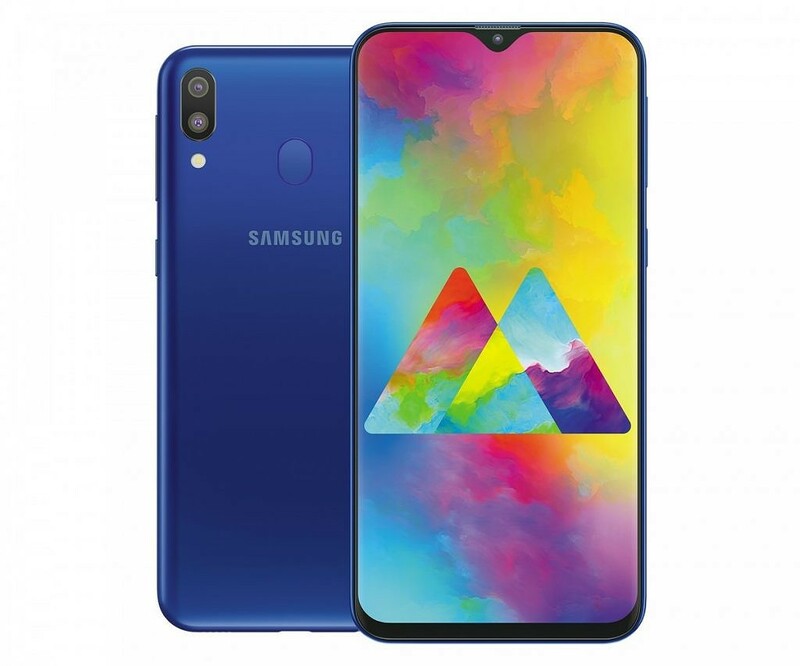 Samsung Galaxy M10 and Samsung Galaxy M10 under Samsung M series of smartphones were launched on 28 Feb. The launch of M-series has marked Samsung’s debut in Infinity V display design. M 20 has a 16 cm screen with Infinity V Display. It has a full HD Plus screen with crystal clear resolution and 409 pixels per inch which ensure a great video watching experience. It is an entertainment powerhouse. It has widevine L1 certification for streaming content on platforms like Amazon prime. In addition, it provides you with 360-degree surround sound experience while you are listening to music or videos on your headphones. Galaxy M20 has a 5000mAh battery. This means that there is no need to carry a power bank. In one full charge, you will get non-stop video viewing of 28 hours. Well, doesn’t that sound fascinating? It has 3X faster charging with a 15W fast charger with USB Type-C port. If you charge for 10 minutes, you can use the phone for 3 hours for video viewing and talk time and 11 hours of music. The newly launched phone has a powerful Dual Rear Camera with 120-degree Ultra-Wide Angle lens. The primary camera is of 13 megapixels with FL9 and the secondary camera is of 5 megapixels. The camera also has a feature of Live focus with background blur option. M 20 has 8MP Front Camera with selfie focus. The camera details include face detection, touch to focus, HDR mode, White balance presets, Auto flash, continuous shooting, ISO control, and exposure compensation. It will have Flash, LED flash and autofocus. Its wide-angle lens with a sharp autofocus system and accurate white balance along with low levels of noise in low light conditions will make you fall in love with the gadget. The phone has a powerful processor as it comes with Exynos 7904 Octa Core Processor. The users will never have to compromise on the speed and performance of the phone. It will come with a new UI/UX that will give a smooth and fast experience. It has fast face unlock and fingerprint scanner. Its dedicated SD Card slot will allow you to expand storage up to 512 GB. Talking about the connectivity, it supports Bluetooth, WiFi, 2G, 3G, 4G LTE (India Compatible), VoLTE. Phone design and colours are according to the millennials. Currently, it comes in two colours- Ocean Blue, and Charcoal Black. Amazon India is the exclusive online partner of the Samsung Galaxy M-series. The first sale starts on 5 Feb at 12 PM on Amazon.in and Samsung India e-store. 6 months no cost EMI is also available. There is an exciting offer called Samsung Galaxy M- Jio Double Data Offer- 2019 in which the Jio customers (exciting and new) will get double data who activate Samsung Galaxy M10 or Samsung Galaxy M20 on their Jio Network for the first time on or after 5 Feb 2019 and do a recharge of Rs 198 or Rs 299 Jio prepaid plan. After the successful recharge of either of the mentioned amount on the eligible device, double data voucher offering additional data which is equal to the data offered in your selected plan will be credited in My Jio app. The users can avail the double data voucher on doing a recharge of Rs 198 or Rs 299 for a maximum of 10 times before 30 June 2020. This offer is only applicable on the Indian version of Samsung Galaxy M10 and Samsung Galaxy M20. You must note that you must be enrolled to Jio Prime Membership to avail this exciting offer. Subscribe to The Telescope to get latest updates about gadgets!